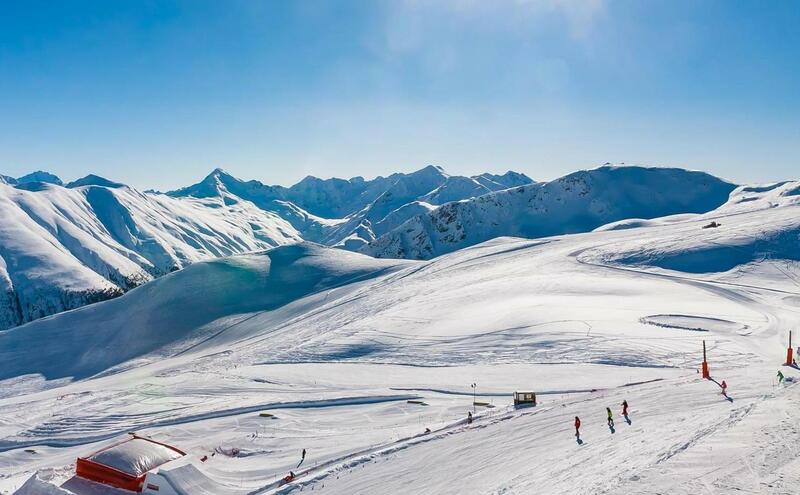 Nestled between two mountain ranges and spread across the 12 km beautiful Valtellina alpine valley, Livigno ski resort is a must-go holiday location for families and ski enthusiasts. 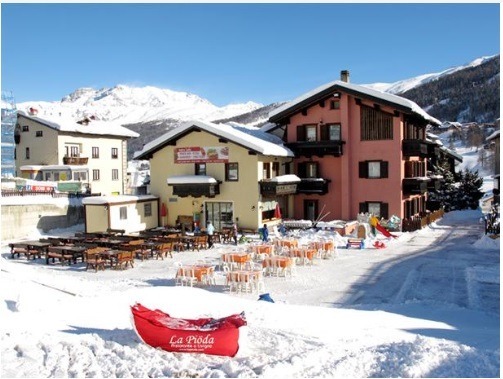 Locally known as Piccolo Tibet (little Tibet), Livigno ski resort is famous for its all-season ski weather, sports-packed winter season, affordable and duty-free shopping experience, extreme snowparks and excellent après ski. Livigno's low-slung prices and festive atmosphere naturally entice the skiing crowd. Going on a ski holiday to Livigno is also means going on a ski holiday with convenience on the slopes. Chairlifts cover nearly all of the higher terrains as the Italians hate standing up in T-bars or the like. Livigno ski resort has an extensive and well-functioning snow cannon grid, ensuring that the slopes are regularly topped up with snow. 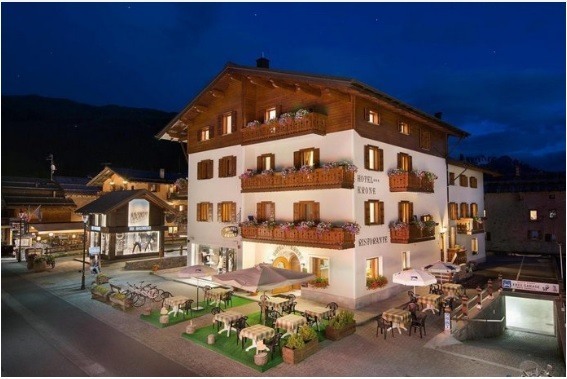 Situated in a dense valley in the heart of Italy´s northern ski centre, is Livigno ski resort. The ski resort is surrounded by three main skiing areas - the bigger Carosello and Costaccia areas to the east and the recently extended and challenging Mottolino ski terrain to the west. The combined area consists of 115 km of slopes, with altitudes ranging from 1,700 to 2,900 meters. In total 78 pistes awaits – distributed across 12 blacks, 37 red, and 29 blue pistes. The skiing range has various access points and is serviced by a modern lift mechanism comprising of 6 cableways, 14 chair lifts, and 12 ski lifts. Bus service is also free for all ski pass holders. Livigno ski resort’s specialty is winter sports. Besides alpine skiing, there are locations in the resort ideal for telemark skiing and a 30 km well-developed network of cross-country skiing trails. There are plenty of options for hard-core, thrill-seekers too. Considered as Europe’s biggest fun park for skiers, Mottolino snowpark will surely keep snowboarders and freestylers entertained. More advanced skiers can try heli-skiing too, a skiing experience wherein the skiers are carried by helicopters instead of traditional ski lifts and are taken to the steepest and unexplored summits of the resort. 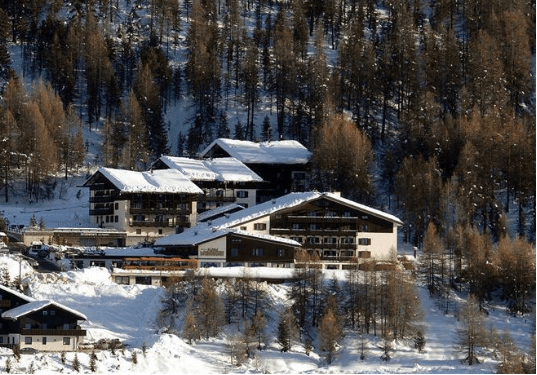 The resort boasts over 200 ski experts, all trained at the Italian Ski School. The cutting-edge ski schools offer training for first-timers, children and for those with disabilities too. Livigno ski resort is an ideal training ground for first timers and beginner skiers. There is 30 km of trails to practice on with some gentle, open, uncongested nursery slopes at the village level that helps first timers advance to higher runs. Novices can take the scenic continuous downhill run (Pista degli Amanti) on Monte della Neve (highest point on Mottolino) to the base area at Teola. Next to this slope is the Yepi Trail, a fun park dedicated to children lessons. Pian della Volpe has several blue pistes too and is isolated from the rest of the Mottolino range making it completely free of speed racers. There are some full blue runs from the top of the Costaccia too. At the base area, on the Carosello 3000 side is another snowpark for children featuring fun race courses. The Bella Vista’s gentle blue slopes near the base of Carosello attract a lot of beginners due to the beautiful panoramic views over Spöl Valley. A total of 65 km of red runs will surely keep intermediate skiers occupied in the resort. Both of the two main skiing areas in Livigno are abundant of short, long and above the tree line red pistes. Intermediates can start their week on the eastern side of the resort on Costaccia. For more challenging red runs they can head next to Carosello by riding the Carosello 300 gondola lift. Numerous short red runs at Carosello converge into several longer runs which give skiers a great sweeping view of the mountains and the valley below. The technical and challenging terrain of the Sponda Fis at Mottolina is an athlete’s favorite and suitable to intermediate skiers too. There are clusters of red pistes next to it that take skiers back down to the village. Some of these trails lead to Trepalle, another great location for intermediates. There are limited black pistes for experts in Livigno, but most of the difficult trails in the resort are incredibly steep and well-groomed. One of these is the 20 km slopes of the stunning Giorgio Rocca piste, named after the former World Champion in Slalom. Several of the toughest runs can also be found on Monte Della Neve. Afterski activities are a must for any ski break. With over 150 drinking dens — more than any other ski resort in the world — Livigno is considered an après ski mecca. If you are going down from the slopes, be sure to try après ski bar ‘Kosmo’ to give your leg a much-needed rest and enjoy a drink. Located at the bottom of Mottolino gondola, this well-decorated, music-filled mountain hut serves delicious Italian cuisine and features entertaining live performances. Guests can also enjoy their lunch at the newly opened panoramic terrace with comfortable hammocks, chairs, and a playground for children. Around teatime, visit Tea dal Vidal near the bottom of Mottolino for lovely snack time. At sunset, the cozy bar turns into a vibrant dance spot with different events every day of the week, from disco party Monday nights to Latin party Fridays. Skiers are recommended to try the famous house specialty “Bombardino,” a 40-year-old Italian hot drink made from Advocaat and brandy, topped with whipped cream. If you’re looking for a cellar bar with live music and themed evenings, head to Club Bivio. This is the best location to spend the evening out in the Alps. Delicious buffets are served from 06:00 pm and guest or DJ performances kick off at 09:00 p.m. The Miky’s Disco Club is located in the center of Livigno and attracts a lot of locals and tourists. The antique themed bar’s superb parties begin at around 08:30 pm and guests can enter the club using the stairs or go down with a twist using the long slide entrance. Near the ticket office of Carosello 3000 in San Rocco Zone, skiers and guests can find the Stalet, home of the wildest parties in town. It is the largest restaurant in the mountain resort with an internal room and an outdoor terrace. The restaurant opens 07:30 am and serves authentic Valtellina and national dishes. A favorite spot for young skiers, parties at Stalet start as early as 03:00 pm. Aside from the incredible skiing experience in Livigno ski resort, there are plenty of fun and exciting activities for non-skiing tourists and the whole family too. There's hardly a family who wouldn’t love to interact with playful, friendly and active dogs. While visiting Livigno, take a memorable ride on a dog sled pulled by highly trained and beautiful huskies. Established in 2002, the Husky Village Sled Dog Center offers rides around the Arnboga located 30 minutes away from Livigno. Each trip takes 30 minutes. The trip costs €80 for adults and €50 for children. Horse-drawn sleigh rides is a memorable winter holiday activity and another way to explore the resort. The tour takes about 30 minutes to one hour depending on the route. The sled ride can be arranged for a romantic getaway with your partner or a fun-filled sight-seeing activity for children. For the adrenaline rush and adventure seekers, they can try ice climbing on the massive natural ice towers in Livigno. The towers are frozen waterfalls and massive blocks of ice. For everyone’s safety, guests are advised to listen and follow the safety instructions. Courses on ice climbing are also available. For anyone who wants to try go-karting on the ice, Livigno is the perfect place to be. Challenge friends and family members to a thrilling race at the massive ice rink designed for ice karting. Ice karting is a popular activity, so expect long queues in winter. This activity is open to adults and children under supervision. Ice driving is a thrilling activity that is sure to get your adrenaline pumping in no time. The ice driving school has different courses from safe driving for a novice to the super sports and extreme drives for experts. Visitors can drive the car on snowy off-road themselves, or they can hire a driver take them on an adventure of a lifetime. From young children to grownups, there’s hardly anyone who wouldn’t want to take a toboggan run during their Livigno winter holiday. The toboggan run at Livigno is a massive 6-kilometer long run that promises fun, excitement, and thrill for people of all ages. An adult must supervise children during tobogganing. Horseback riding in the snow-covered tracks in Livigno is an unforgettable experience for nature lovers. The horses are well trained, and guides are readily available to accompany riders on each tour. Different routes are available for beginners, intermediate and experts.